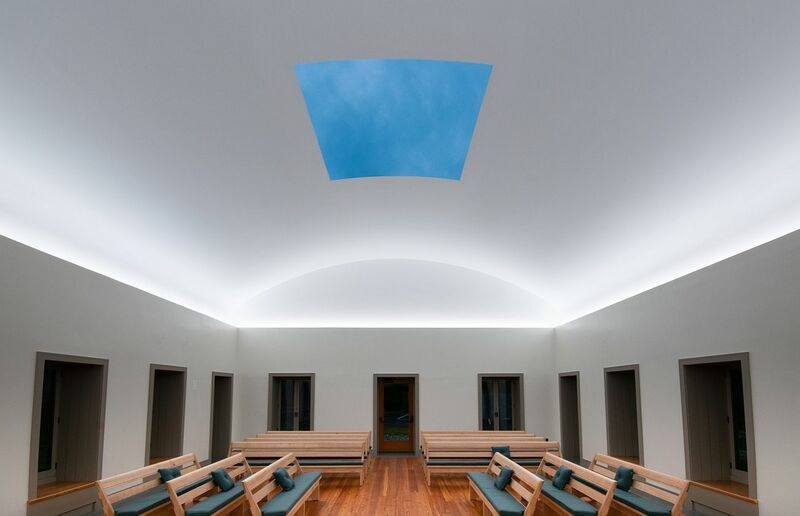 James Turrell's Skyspace, Greet the Light. We view Project Management as an art as much as a science. 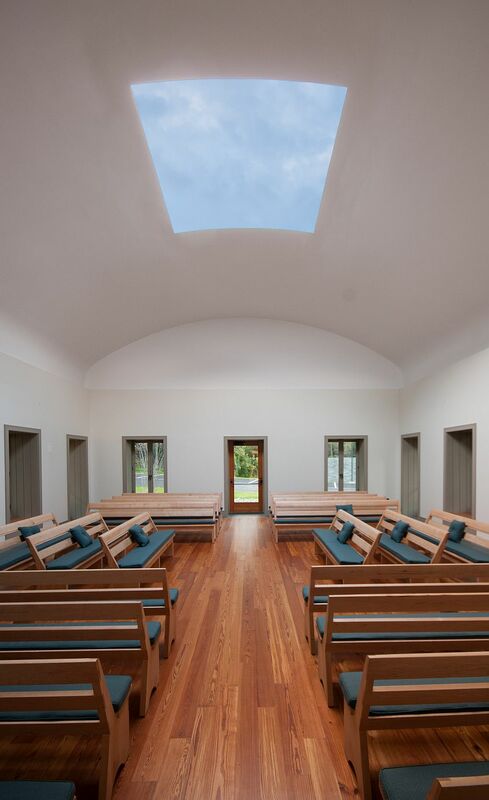 When the Chestnut Hill Friends Meeting in Philadelphia decided to build a new meeting house, they wanted the structure to reflect their Quaker beliefs and practices. 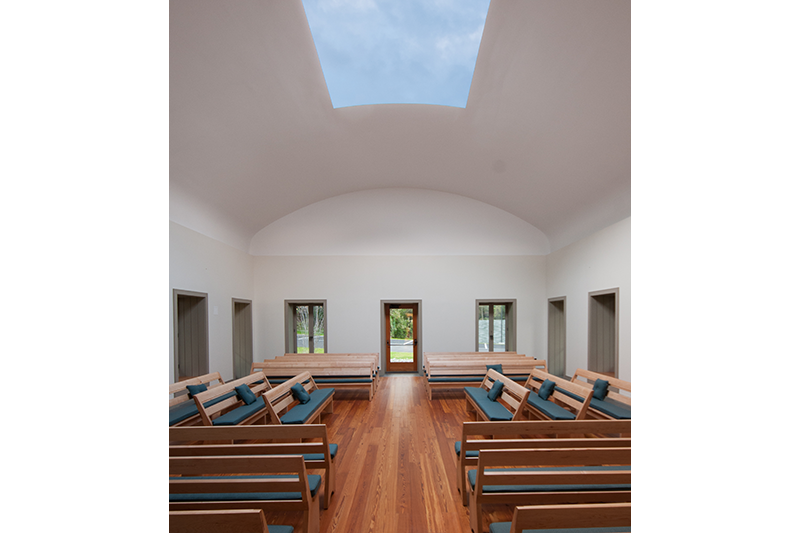 Working with renowned contemporary light artist, James Turrell, they incorporated one of his Skyspaces into the project. The permanent skyspace installation, Greet the Light, includes a large retractable roof providing a view of the sky from the meeting room that, in tandem with the proprietary lighting display, produces stunning visual effects. Becker & Frondorf worked collaboratively with the artist, a local architect, and the builder to help accomplish the Meeting’s budgetary, schedule, and artistic goals. It is a special local attraction that draws visitors from near and far to experience the wonder of a James Turrell Skyspace. B&F particularly values projects like these where we can help ensure that an artist will see their vision fulfilled. We support and appreciate the cultural significance of gaining significant public art and adding to the already rich artistic heritage of the Philadelphia region. Our core expertise revolves around the management of design and construction projects but we have been fortunate to be involved with the procurement and installation of a number of important public works of art. Ned Kahn Shimmer Wall The Franklin Institute’s Nicholas and Athena Karabots Pavilion features the glittering designed by world-renowned artist Ned Kahn, and drapes the south side of the Race Street façade of the new wing. Ben Rubin Eternal Flame For the National Museum of American Jewish History, Becker & Frondorf managed the commission of Ben Rubin’s LED-sculpture as well as the conservation and relocation of Religious Liberty.